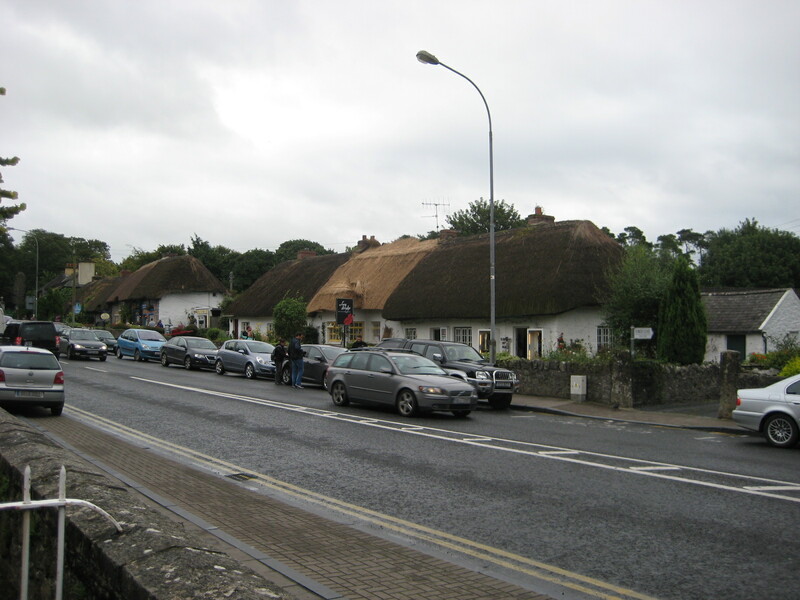 This morning we left Kinvara behind as we began our journey to Killarney. 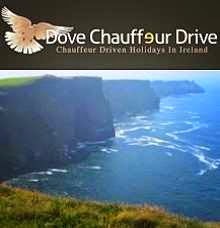 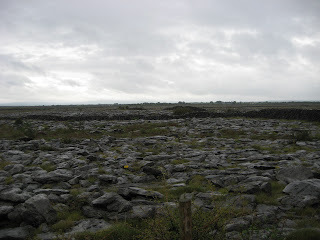 We took our route through the Burren of County Clare and had to cancel our visit to the Cliffs of Moher as the weather was very bad. 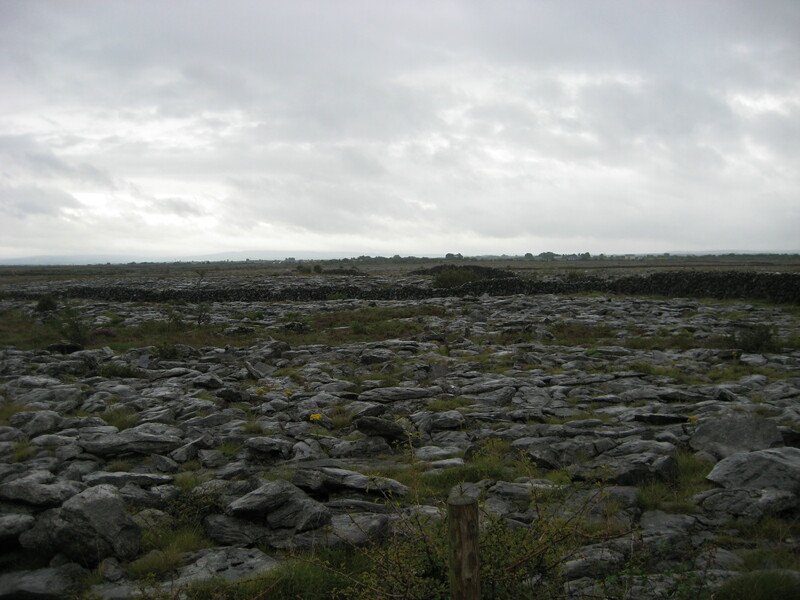 The picture above was taken as we passed through this unique Burren region, a limestone rock strewn area which was once upon a time the ocean floor. 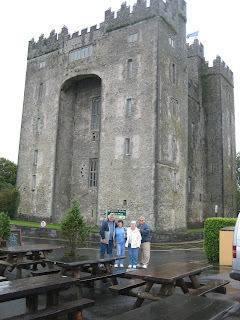 Leaving the Burren behind we took the motorway passing by Bunratty Castle. 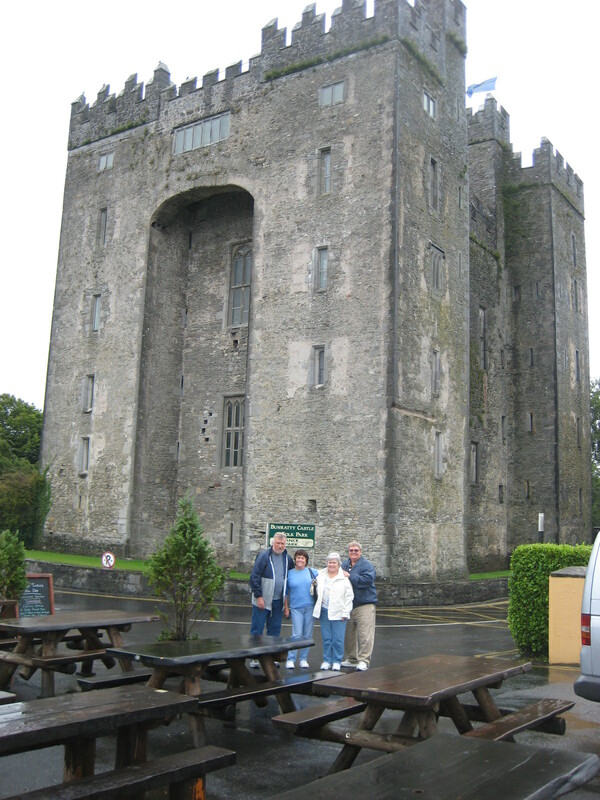 Here you see Al and Terry, Marianne and Ed, with the Castle in the background. 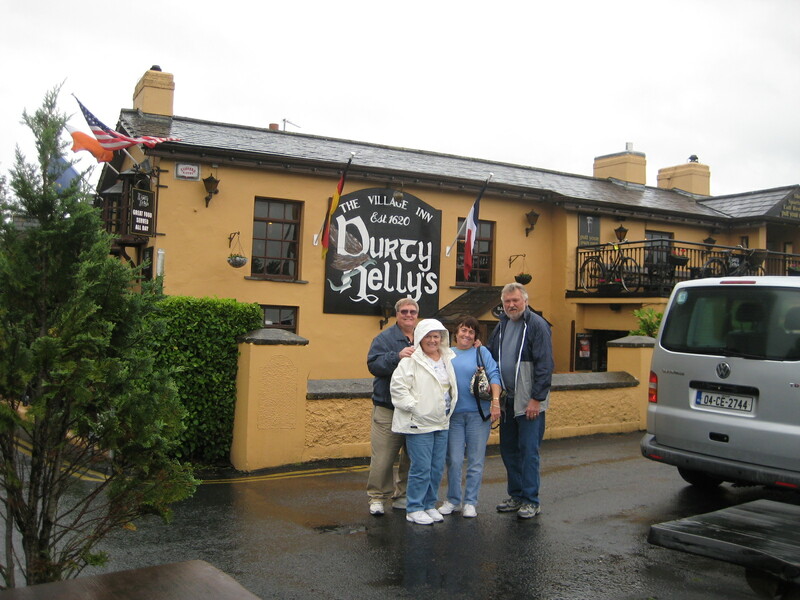 Durty Nelly's pub is located right beside Bunratty Castle and is a great place for a nice meal and a refreshing drink. This great Fitzgerald Norman castle is just on the outskirts of the lovely town of Adare in county Limerick. 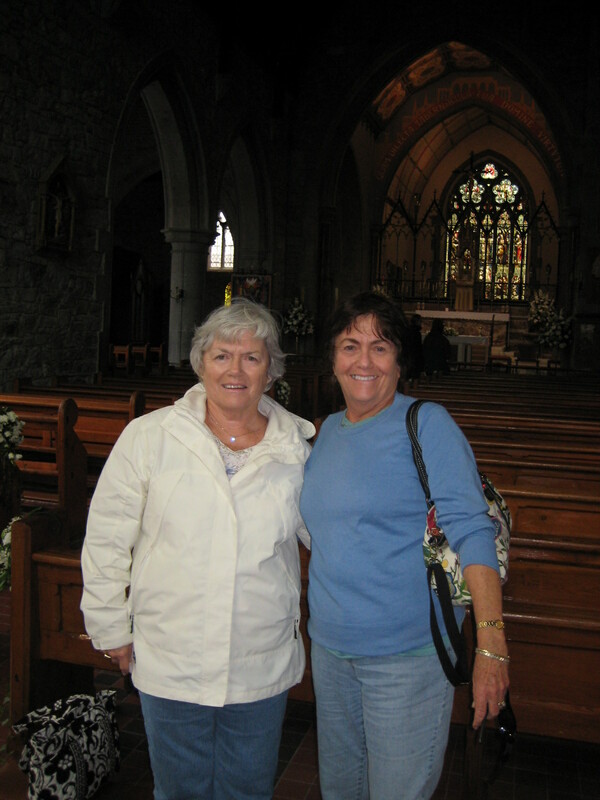 Marianne and Terry inside the magnificent Trinitarian Abbey in the centre of Adare. 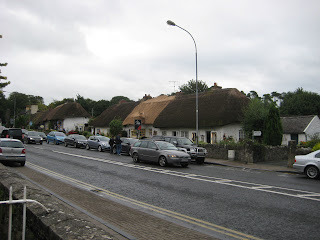 We spent some time in Adare which is renowned as one of Ireland's most beautiful small towns. 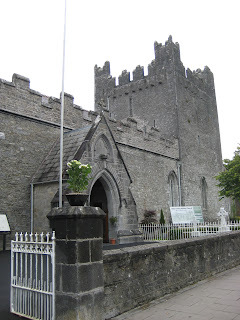 This church dates back to the early thirteenth century. This wonderful old abbey from the outside. 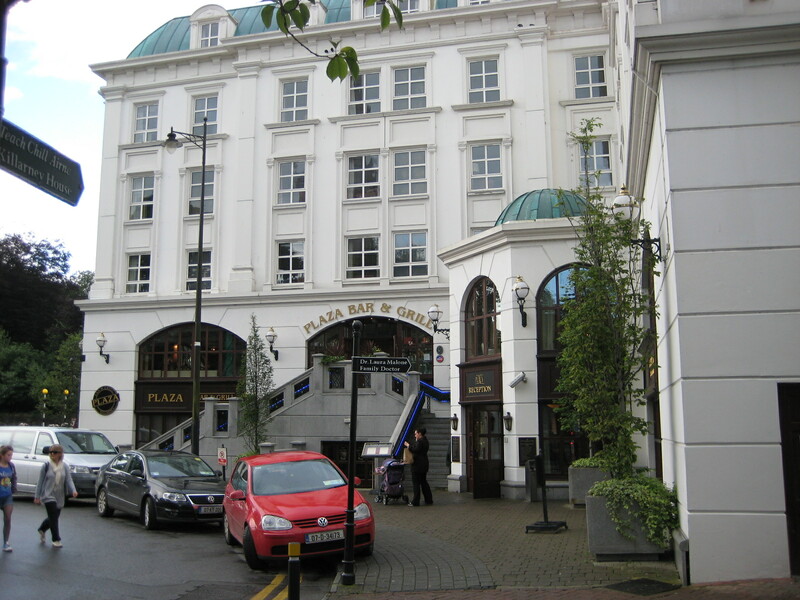 The Killarney Plaza Hotel where we are staying for the next few nights. 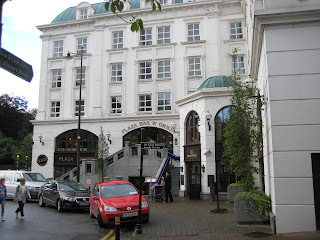 This is a lovely hotel and located right in the heart of the town. 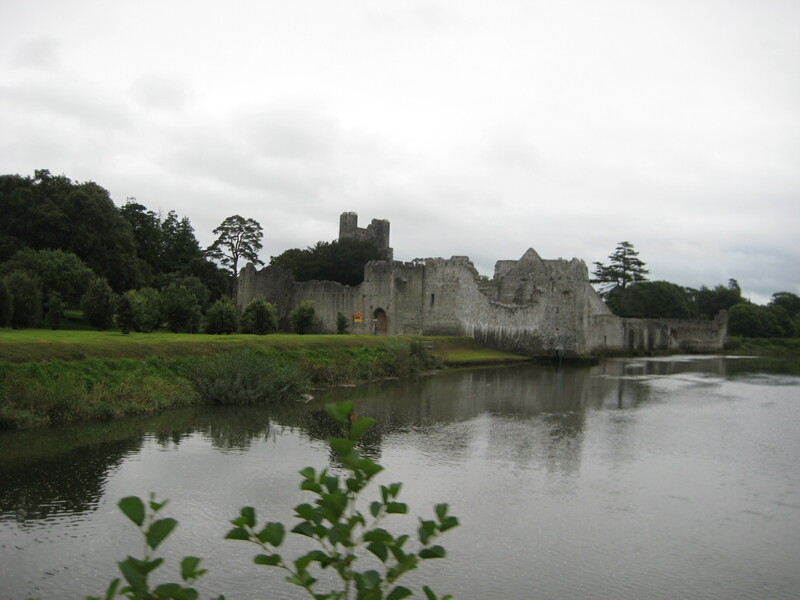 Tonight we are headed for Tralee to the Siamsa Tire theatre where we will be enjoying a wonderful performance of an old Irish mythological tale, The Children of Lir, which will be performed in song and dance, and in the Irish language. 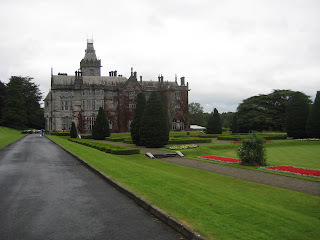 Stay with us on this exciting tour, even if the weather is not the best. The great company i am with more than makes up for the weather.